HUNDREDS of serving members of the Armed Forces will join veterans at the city’s War Memorial on Burdon Road to mark the centenary of the end of the First World War. This year’s annual Remembrance Parade and Service on the morning of Sunday 11 November will be all the more poignant, falling as it does a hundred years to the day since the signing of the Armistice that ended the First World War in 1918. The parade, one of the largest outside of London, is also being attended by Vice Lord-Lieutenant, Gavin MacFarlane Black, CBE, DL, the Mayor of Sunderland, Councillor Lynda Scanlan and Colonel Andrew Hadfield, who will be taking the Salute. Members of the Armed Forces taking part include crew members from Sunderland’s newly affiliated submarine HMS Anson, which is due to enter service in 2020. Also attending is former Coldstream Guardsman and George Medal hero Andrew Norton, who was badly injured saving the life of a colleague in a land mine explosion in Aden in 1964. 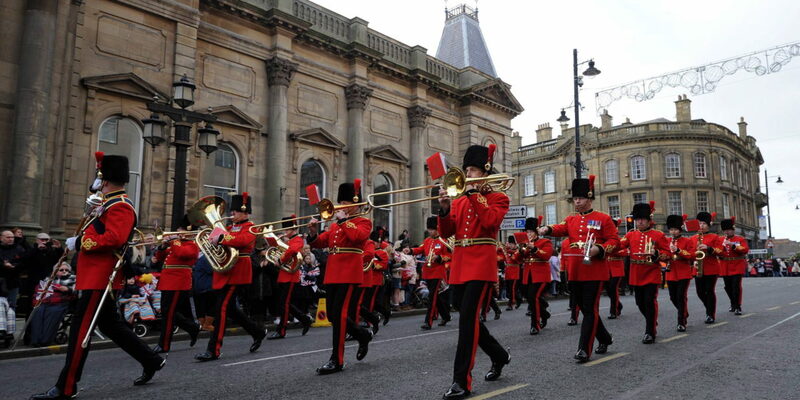 The parade is being led by The Band of the Royal Corps of Signals and Bearpark and Esh Colliery Band with music provided during the service by Shiney Row Male Voice Choir. Sunderland’s adopted regiment, 4 Regiment Royal Artillery is once again providing the largest contingent in the parade. It is also providing two field guns which will be fired from the terrace in Mowbray Park to signal the start and finish of the two minute silence at 11 am. Other services represented include the Household Cavalry Mounted Regiment, RAF Boulmer, The Ghurkhas, 5 Armoured Medical Regiment, 101 Regiment Royal Artillery and Tamera Pl Para Coy Infantry Training Centre Catterick. Veteran George Waller who served in the RAF in the Second World War will recite the first four verses of the famous war poem ‘For the Fallen’ before the two minute silence. He will be followed by veteran Len Gibson, a member of 125 Anti Tank Regiment Royal Artillery who was a prisoner of war on the notorious ‘Death Railway’ in Burma who will recite the Far Eastern Prisoner Prayer before the wreath laying. The Mayor of Sunderland Councillor Lynda Scanlan, said: “This year more than any other year, Remembrance Sunday is an opportunity for the whole city and the whole community to come together to pay tribute to all those who fought in conflicts past and present, and those who gave up their lives for their country. “We remember people from all walks of life, religions and cultural traditions in our city, who have represented us all with bravery, honour and distinction across the world and across the generations. 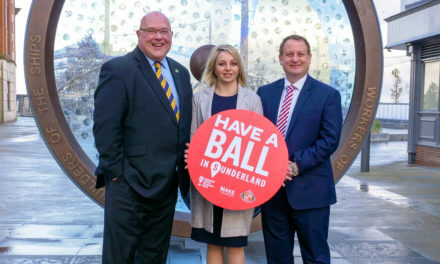 “It’s tragic to think that a third of the 25,000 Sunderland men who served their country during the First World War were either killed or injured. And it wasn’t only those who fought overseas who suffered. The war also took its toll on the home front, with Sunderland’s shipyards making it a major target. “We also remember the three million soldiers from across the Empire and the Commonwealth nations who served in the First World war, soldiers from Australia, New Zealand, Canada, Africa, the West Indies, India and many others. “So I think this year’s Remembrance Service and Parade will be particularly poignant, coming as it does 100 years to the day since the signing of the Armistice that ended the war. Following the service and wreath-laying, the parade will end in a march past of veterans and serving members of Her Majesty’s Forces. The salute will be taken by Colonel Andrew Hadfield, Vice Lord-Lieutenant, Mr Gavin MacFarlane Black, CBE, DL and the Mayor of Sunderland, Cllr Lynda Scanlan from the steps of the Museum in Borough Road. Members of the public are very welcome to attend the parade and service. Anyone thinking of coming along is advised to dress warmly and be in place at the War Memorial by 10.15 am on Sunday 11 November. A limited amount of seating is available in the tiered seating from 9am. Access to the disabled platform is available from the same time. Parking in the civic centre car park will be available free of charge. Road closures are in place from 9.30 am – with access to civic centre car park from Park Lane only after this point. People will have a second opportunity to pay their respects on the afternoon of 11 November. 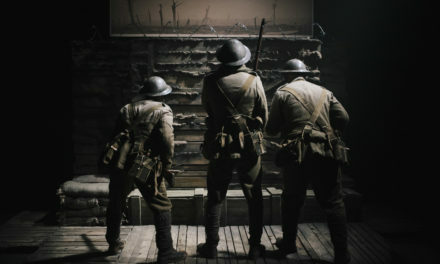 Hugely-respected film director Danny Boyle is producing Pages of the Sea, a commission for 14-18 NOW to mark the centenary of Armistice Day. On Remembrance Sunday, the public is invited to gather on beaches across the UK for an informal, nationwide gesture of remembrance for the men and women who left their home shores during the First World War. Sunderland Culture will be part of Pages of the Sea, with Roker Beach being among a handful of beaches chosen nationally to host the event. Each project centres on the drawing of a large-scale portrait of a casualty from the First World War, designed by sand artists Sand In Your Eye, which will be washed away as the tide comes in. In addition, the public will be asked to join in by creating silhouettes of people in the sand, remembering the millions of lives lost or changed forever by the conflict.